Foshan Peter Import & Export Co., Ltd. was set up by Peter International Investment Co., Ltd. (Hong Kong) in Foshan. It mainly imports and exports public furniture, office furniture and furniture accessories and integrates design, production and trade. Taking quality as the base and honest and credible operation as the basic credit standard of the company, the company develops furniture market at home and abroad and provides service for each customer. 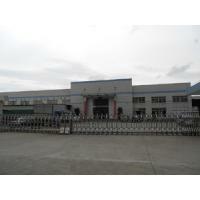 The company has its own hardware factory, plastic factory, panel furniture workshop and finished product workshop. Welcome to visit us for investigation. 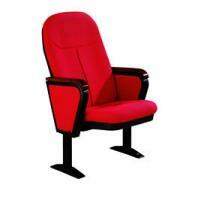 The company has more than 5 years of experience in furniture export. It has its own complete dealer network in Russia, other countries of the Commonwealth of the Independent States, Southeast Asia, South America, etc. The company provides one-packaged service from production, quality test, stuffing, customs clearance, export transportation, import clearance, delivery to customers and after-sales service. At the same time, the company provides all-dimensional services such as European furniture import, production technology and equipment of furniture and furniture design scheme. It provides support and help for domestic furniture manufacturers in transforming management structure and improving product quality and taste. Welcome to visit us for negotiation and cooperation! Thanks for everyone who provides opportunities for us! The road is under foot. We firmly believe in each step of us and make down-to-earth efforts!